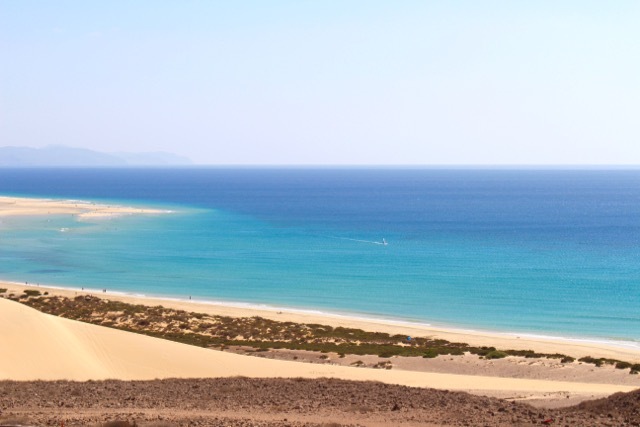 The beaches and mountains of Fuerteventura – pure power. 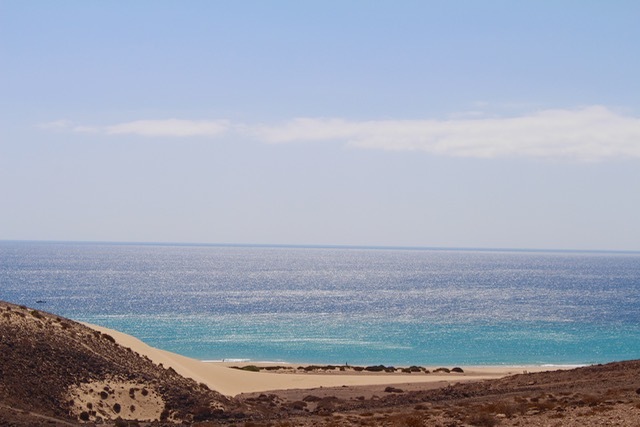 If you drive along the old coastal road from Morro Jable to Costa Calma, there is a very popular place that offers a perfect view over the sea and the beaches. There you will see with your own eyes one of the most popular postcards and photo subjects. 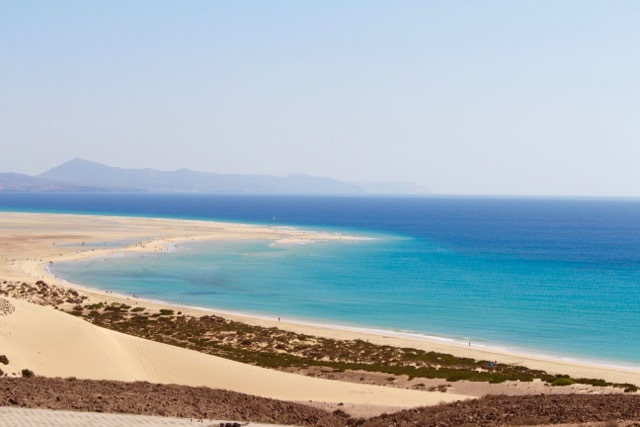 The view of the Playa Risco el Paso and Playa Lagoon Fuerteventura is fascinating. If you drive down you will find there a popular surfing area with a well known surf school but also a magnificent coastline just for sunbathing and relaxing. 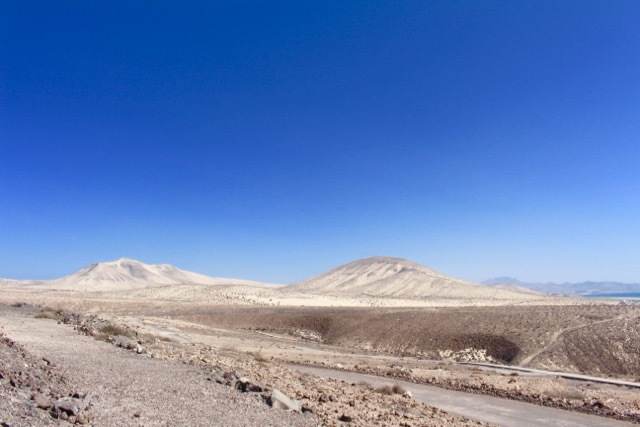 Strangely, however, I am always more impressed by these “Desert Hills” at the Barranco de Pecenescal and Barranco de Valluelo. To see it too you must only turn your head to the left. I do not really know what it is – but for me they are spectacular, as it changes its appearance depending on the sun and on the season. I do not have to tell Fuerteventura fans to much. The island offers countless beautiful coastlines as well as impressive mountain landscapes, that hikers and bikers can enjoy on their tours. I am personally fascinated especially from the charisma of this mountains and the power they have. 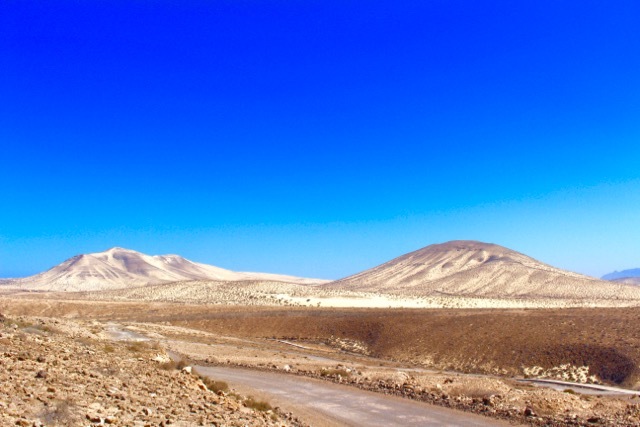 Yes – this wonderful desert and volcanic landscape of Fuerteventura simply is full of power and I know I’m not alone when I talk about this special feelings. In this sense, I can only recommend you to drive a walk around. Minimum one day! And no don´t plan you tour on bad weather. Bright sunshine and clear sky would be the best to discover the beuatiness of this island. You will be guaranteed “flashed”!